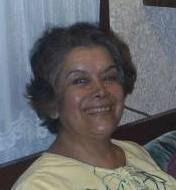 This midnight passed away Ms. Nibia Reinaldo Vázquez, wife or our beloved friend Germán S. Vázquez, co-founder of the former CIOVI, and member of UAPSG-GEFAI. She suffered of a sudden heart attack and all the efforts done to recover her were to no avail. We extend to Germán and his family our sincere condolences.